In order for us to evolve and thrive we need to align ourselves with the truth. We need to have a basic understanding of the laws of The Universe before we can fully align ourselves in its frequencies and energies. There are at least 7 basic laws of The Universe we need to be aware of in order to awaken to our truth and unlock our full potential. These laws are intuitively known by all of us. However, we need to be consciously reminded of them so we’ll become aware. Here are these 7 basic laws you should remind yourself with so you can stay aligned with your truth. Everything in The Universe is dual from our perspective. There’s hot and cold, yin and yang, day and night, life and death. The list could go on and on. However, the secret to existence and evolution is all about the balance of the opposites. The Earth and all life forms within it thrive because of balance. Without balance, there wouldn’t be anything. Life continues to thrive because of the balance between creation and destruction. The Universe exists because of the balance between the energy that pushes it apart and the force that pulls it together. Balance between the elements enables life on this planet. Sacred geometry is believed to be the blueprint for the design of The Universe and refers to the set of geometrical patterns, mathematical ratios, and structural designs found in nature. The Golden Ratio is part of Sacred Geometry and it can be found everywhere in nature as well as in most designs of beauty designed by humans. Even natural systems for growth, development of societies, social behavior, weather patterns, organizations of galaxies, everything follows the principles of Sacred Geometry. The Earth is an electromagnetic entity with magnetic fields interacting with each other. 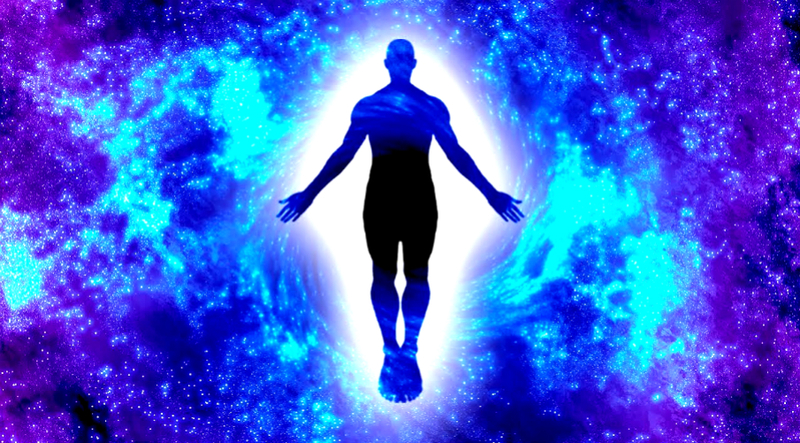 Consciousness, which could be electromagnetic frequency, seems to dictate the nature of the holographic Universe. Humans have just tapped into this field and more exploration is needed in this area. Love supports growth and it is a natural frequency of life. Yet, it doesn’t mean love is all about positive vibes. It can be painful and it can be liberating. Love is the vibration of truth and whenever you manage to tune into it your whole system is replenished, open and primed for further evolution. The default state of being for every person is love. The distortion of truth is based on the frequency of fear. When we love someone we love them because they remind us of truth. The golden rule is translated to the principle of not doing to others what you do not like to be done to you by others. However, the rule is deeper than what the human psyche translated it to be. It stands for karma in which everything that you send out to The Universe will come back to you, or all your actions have an equal reaction. The energy is neutral and the way you interpret the reactions is subjective. Sometimes the reactions might seem unfair to you, sometimes you might not even realize the pattern. But every action has an equal and opposite reaction and that’s what this rule stands for. People own themselves and have the sole control over their life and destiny. They’re entitled to decide for themselves and have their own choices. Most of us live our lives as if we are not free. We imagine systems to put us in check, we create narratives and excuses of why we cannot choose our actions freely. We do this because the realization of complete freedom scares us, the complete responsibility of our life is terrifying to us. But the truth is, you are completely free to make your own choices. The more you awaken to your truth the freer you become. We are species with various senses. But even our senses fall short to make us perceive the complete reality. Our reality is limited to our senses. Even the slightest increase or decrease in the ability of our senses changes the reality of the observer. Our mind is not capable of grasping the complete reality. We can only perceive a fraction of the information from the real reality thanks to our senses and it’s enough for us to survive. But who knows how many layers of reality we are blind to. Even the things we perceive are filtered through our own biases and beliefs. Because of this, it’s safe to assume that each observer lives in a completely different reality from others. Each of us is free to shape their reality any way they want adjusting their filters.